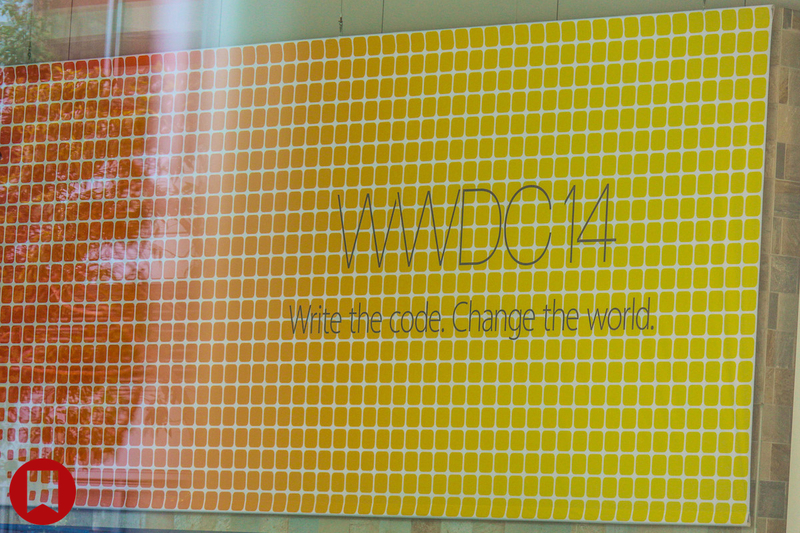 Apple's WWDC 2014 banner at Moscone West. Click image for full-size. 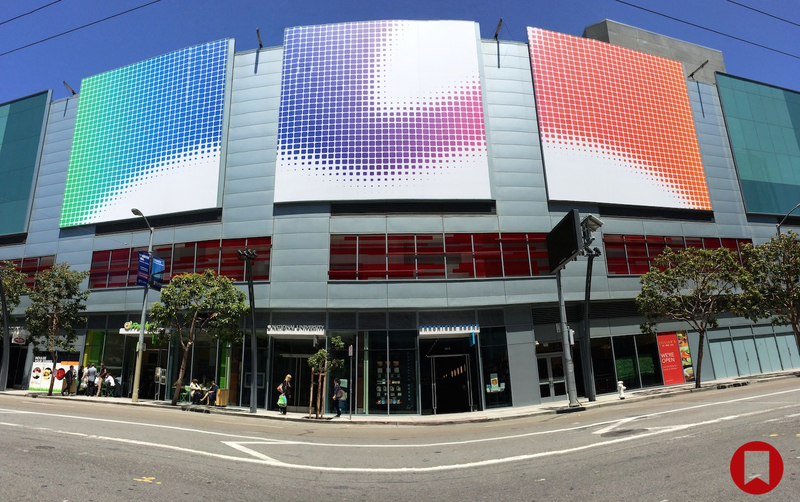 WWDC 2014 is kicking off on Monday, June 2, and Apple has started decorating Moscone West today with promotional banners for the event. 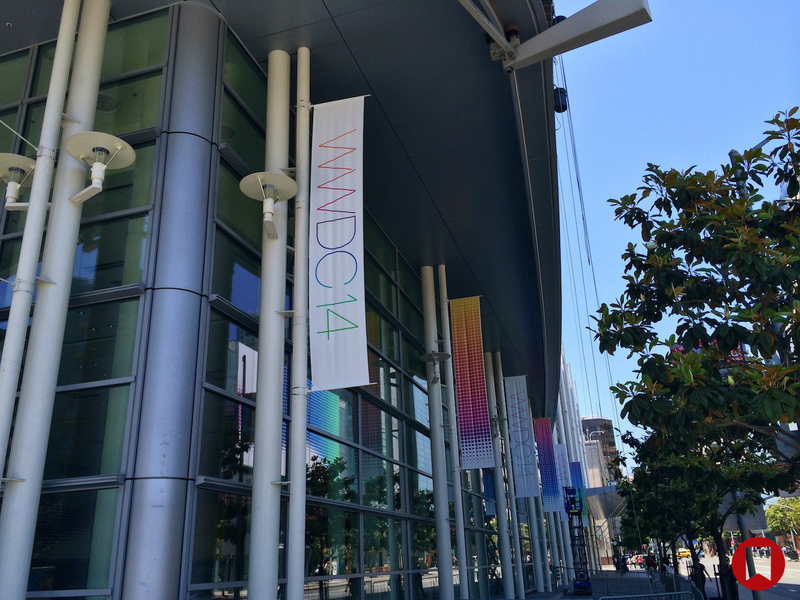 Every year, Apple decorates the convention center in San Francisco with two different sets of banners: the ones carrying the event's graphics already available on the WWDC website, and others showing the names and logos of new versions of iOS and OS X for the first time. 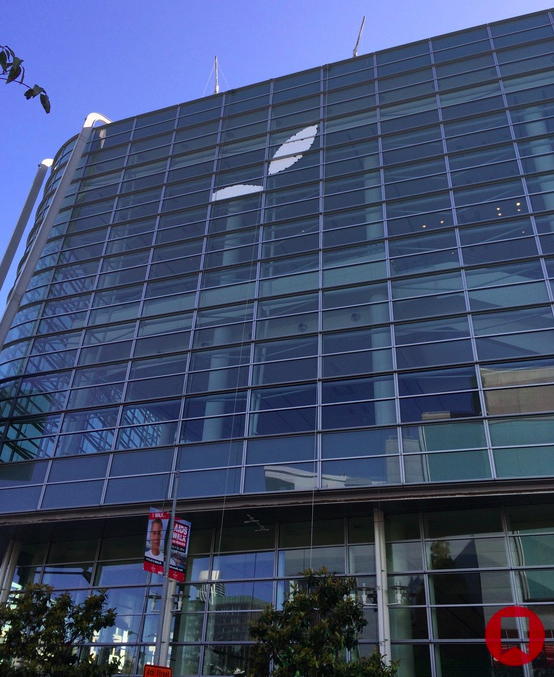 This year, Apple is expected to unveil iOS 8 (the successor to last year's major redesign of iOS) and OS X 10.10, the latter rumored to introduce a dramatic redesign of the Aqua interface. 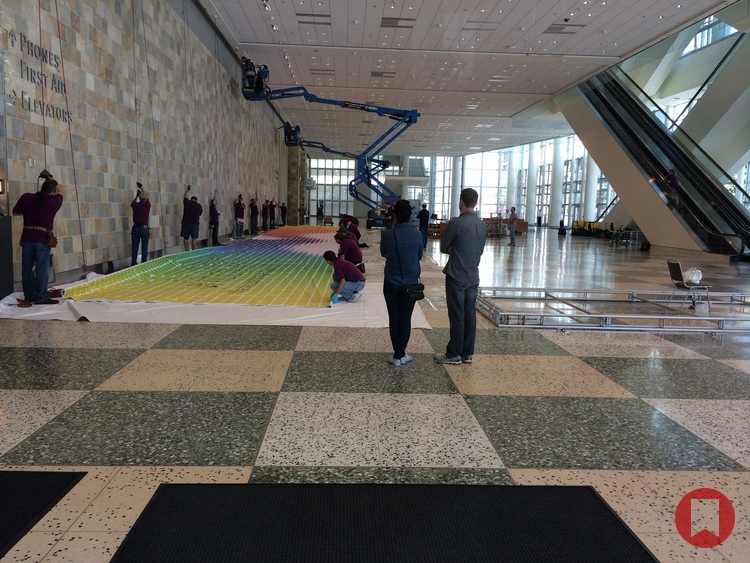 Today, we've received the first set of photos, showing WWDC 2014 banners going up inside Moscone West with the "Write the code. Change the world" tagline. 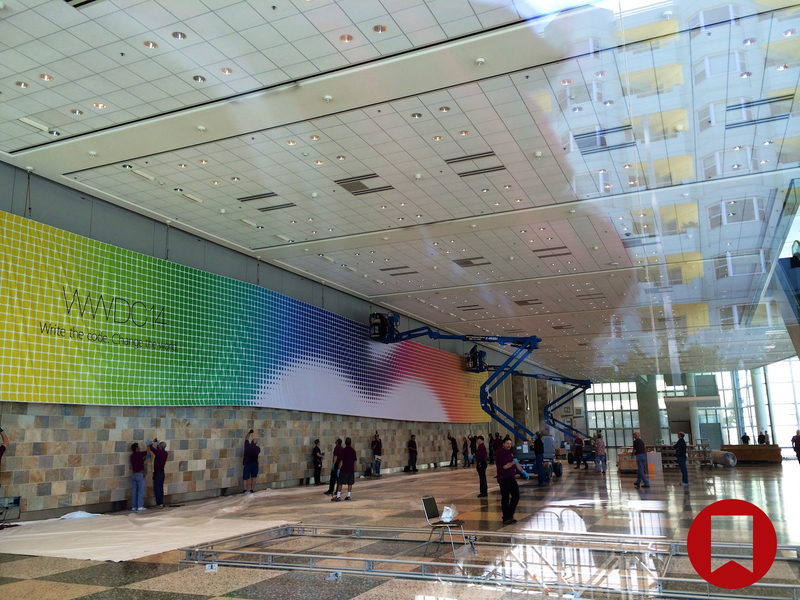 With preparations now well underway, Apple will continue to decorate Moscone West with new banners in the next few days, possibly showing official logos for iOS 8 and OS X 10.10 later this week. 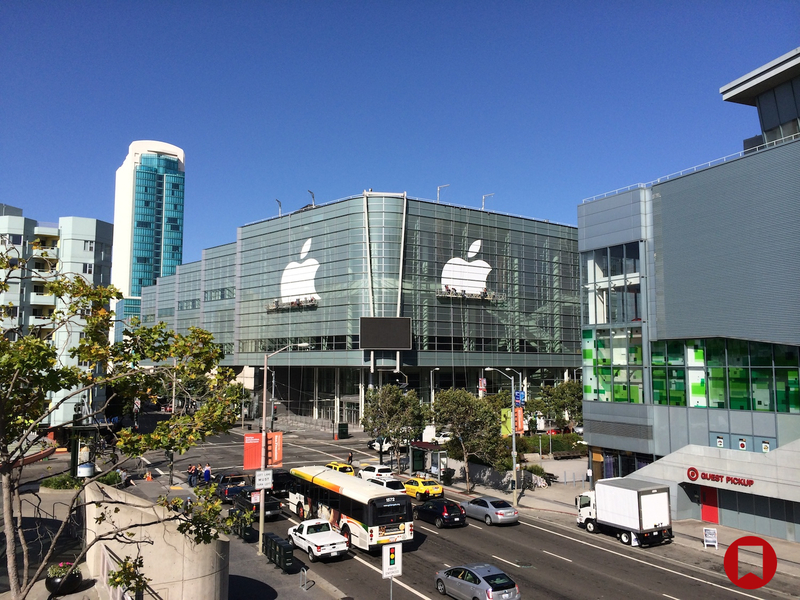 We will update this post with more photos throughout the week; you can follow @MacStoriesNet on Twitter or our WWDC 2014 hub for updates. 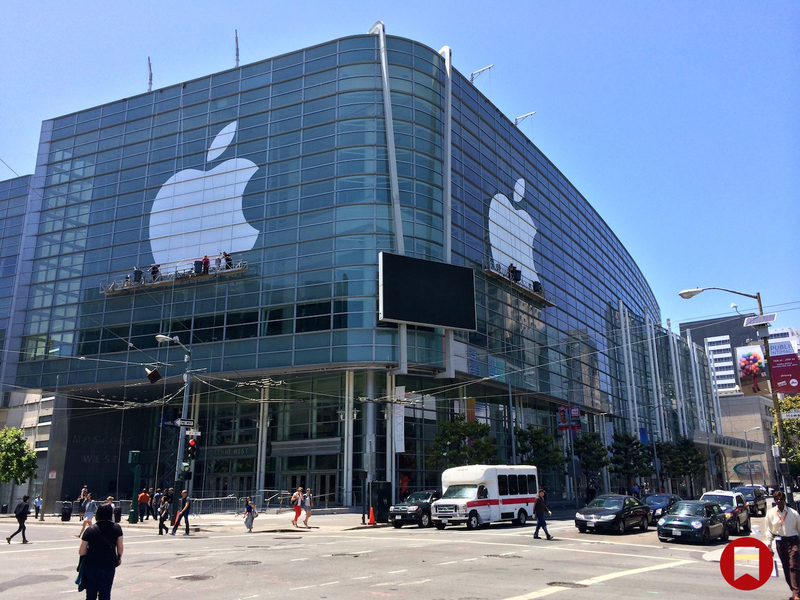 Our thanks goes to Alex Novosad (creator of Choosy) for providing the photos and helping us with coverage from San Francisco. 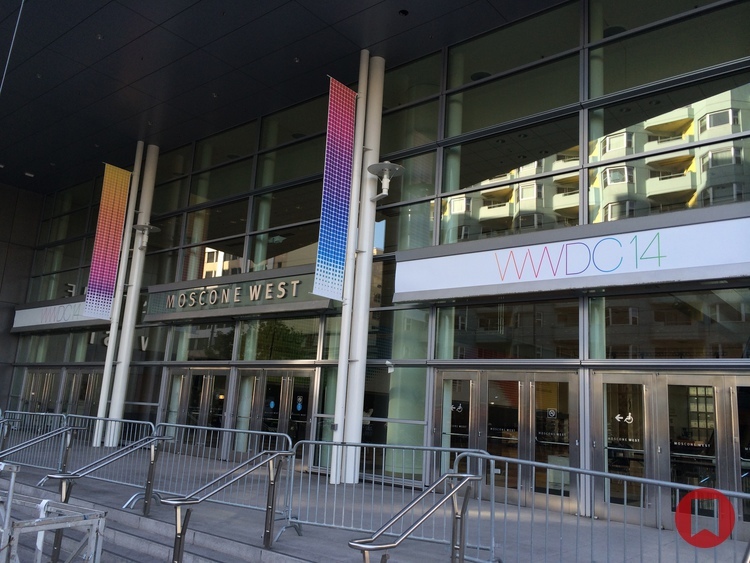 More shots from Moscone West from our friend Casey Liss (@CaseyLiss on Twitter). 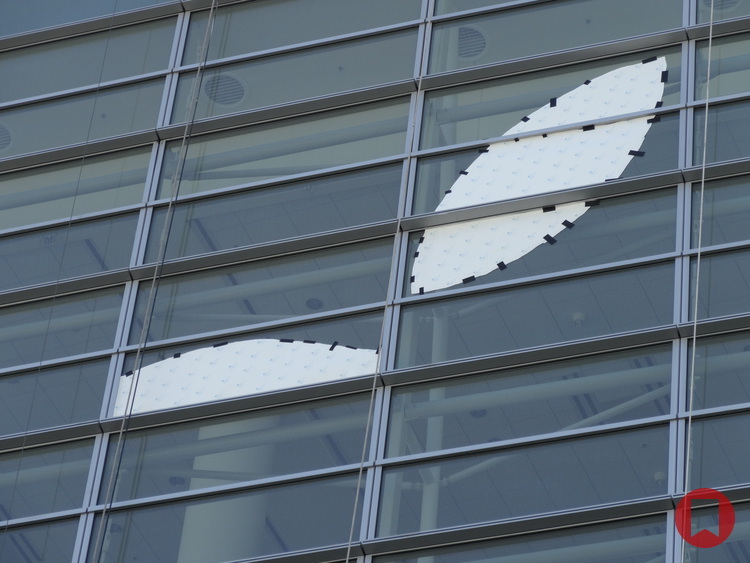 Apple logo is almost complete at Moscone West. 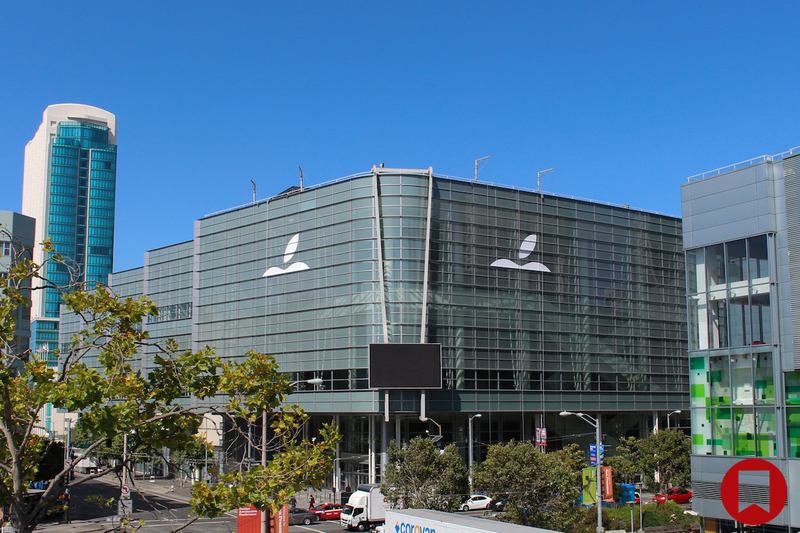 A couple of shots of Moscone West from our friend Steve Streza (@SteveStreza on Twitter).